Here a few web-links to interesting web apps. It covers stuff about password security and checking if web sites are down, etc etc. 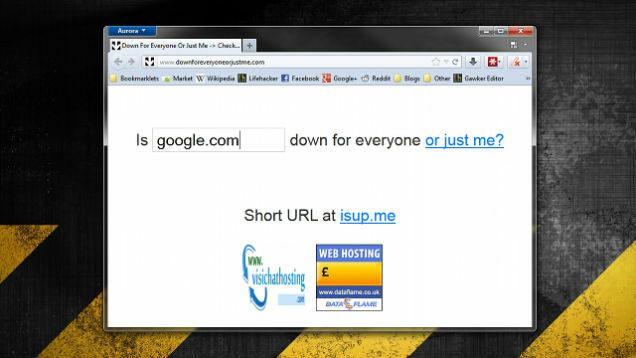 If you’re getting an error when visiting a certain site, it could be down or something could be wrong on your end. To see which it is, head to and type in the web site’s domain. It’ll let you know if it’s actually down or whether you need to do a little more troubleshooting. You can head there quicker by typing in . If you’re curious how fast your internet is for any reason, this is the site to check. It’ll give you both and upload and download speed, so you can find out if you’re getting what you pay for (or if you’re just getting faster speeds than your friends). Just load it up and click “Begin Test” to get started. Does what it says on the tin. 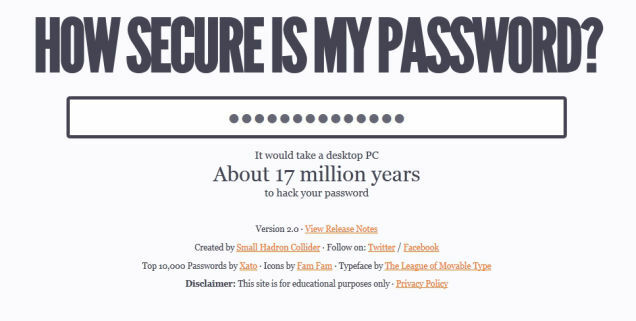 Type in a password and it’ll tell you how long it would take to crack. Whether you’re setting up a home media server with Subsonic or you just need to SSH into a computer at home, sometimes you need to know a computer’s IP address from outside of your network, and this site will tell you what it is. Can You See Me: If you’re having connection issues with a certain program, like email, IM, or BitTorrent, it could be because your firewall or ISP is blocking a certain port that program needs. Canyouseeme.org will let you type in a port and check if it’s open- if it isn’t, then that could be the source of your trouble. If it’s open, then you know it’s something else.